Four tracks for four charming and musically ambitious stories. 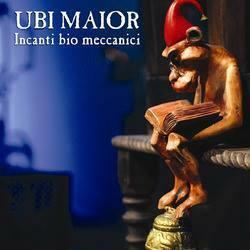 Ubi Maior was formed in the early 2000, when Lorenzo Marotta (vocals) and Stefano Mancarella (guitar) joined forces together with keyboard player Gabriele Manzini. Bass player Walter Gorreri came in a few weeks later, and at the same time Gabriele brought in his friend and old bandmate Alessandro Di Caprio to play drums. After some months spent rehearsing compositions by Un Biglietto per l’inferno, Le Orme, PFM, Balletto di Bronzo and Banco del Mutuo Soccorso, some new original tracks were written. “Messia”, “Vendetta” and “Terra Madre” are a perfect combination of symphonic prog and hard rock, and they remain a cornerstone in the evolution of the band. In 2001 they recorded their first demo, Frontiere. 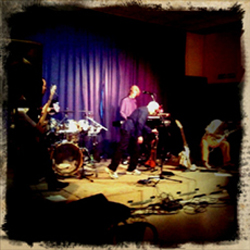 In the same year Gabriele Manzini joined Genesis-inspired band The Watch as keyboard player, and played and recorded with them until the end of 2004. In 2002 Lorenzo Marotta left the band to study bel canto. His place was taken by Mario Moi . 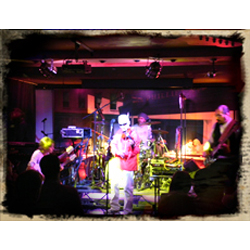 During 2004 Ubi Maior played at numerous festivals organised by Un Biglietto per l’Inferno in order to promote their 30th years boxed-set. The performances were very strong and Ubi Maior received the praise of both public and press. The debut CD Nostos was released in October 2005. It also features a cover of Balletto di bronzo’s “La tua casa comoda”, which has received the appreciation of Balletto leader Gianni Leone. In the same year Ubi Mario took part in the Prog Day Festival in Lecco, northern Italy, Ubi Maior played a tribute to Un Biglietto per l’inferno, sharing the stage with famous Italian artists as Rodolfo Maltese (Banco), Patrizio Fariselli (Area), Tony Pagliuca (Le Orme) and Mauro Gnecchi (Un Biglietto per l’Inferno). During 2006 and 2007 Ubi Maior played several gigs to support Nostos; in 2008 they began the writing and the recordings for their next CD. After the 2005 well received and critically acclaimed CD Nostos Ubi Maior release in 2009 their second awaited opus called Senza Tempo.After the release of their second cd, guitarist Stefano Mancarella left the band. On July 2011 Marcella Arganese join the band.